The release of Fortnite outside of the usual channels won’t be a make or break moment for the sector. But it could be the spark that drives reform in the app store space and ushers in a new era of game and app distribution. 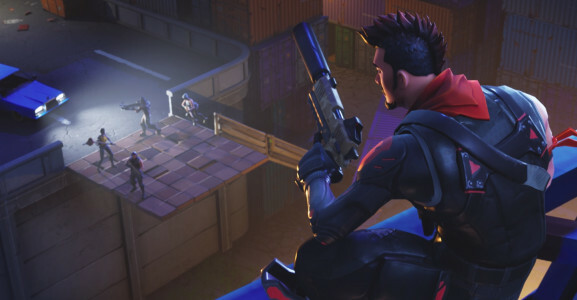 Epic Games’ decision to release Fortnite on Android outside of Google Play is one of the biggest stories in the mobile games industry in years. The company’s decision to bypass Google’s app store and force Android players into side-loading a separate APK (Android PacKage) to access the game to avoid Google Play’s 30 percent cut has reverberated around the industry. Many are wondering if other publishers will follow suit if Epic’s move is a success. In particular, the big question is whether Google Play and the Apple App Store will be able to remain on top of the app store pile if the biggest games publishers in the world begin to abandon it? The answer to that question is almost certainly yes. Apple and Google remain in an incredibly strong position in the mobile game distribution space, and they’re likely to retain it. However, Epic’s decision shows that change is coming. While both companies will likely remain on top, the days in which they do so unconditionally are coming to an end. The release of Fortnite outside of the usual channels won’t be a make or break moment for the sector. But it could be the spark that drives reform in the app store space and ushers in a new era of game and app distribution. Today, Google continues to have more apps on the Play store than its four largest rivals (Amazon Appstore, GetJar, Aptoide and Opera Mobile Store) combined — which indicates that it has the critical mass of users and reach to continue to succeed. Since the early 2010s, many companies have attempted to break the stranglehold that Apple and Google have over the Western app ecosystem, thanks to their dominance in both software and hardware. And somewhat unsurprisingly, all of these attempts have ended in relative failure for a few reasons. The first is that the App Store and Google Play both established themselves as the “gold standard” of global app distribution early. Both stores began selling apps for compatible smartphones in 2008. They did so principally to support the sale of the early iPhones and the first devices supporting Android. But the decision of both companies to move early helped establish their stores as the de facto distribution platforms for smartphones, doing so well before their rivals would. In turn, this led to the second factor for their success – developer support for the stores. Whereas previous methods of distributing mobile games in the previous era had been fragmented and costly, the ability to list a game on a global store and sell it in return for 30 percent of its revenue was — at the time — an extraordinary bargain when compared to the much poorer revenue shares offered by telcos. As a result, developers flocked to the stores and began releasing thousands of products to millions of users. The result is the third reason why the App Store and Google Play remain the dominant stores in the West today: an unparalleled capability for developers to scale the sales of their games and to support their businesses. As early as 2011, both stores were home to over 500,000 applications and had delivered over ten billion installs to developers. Even prior to the rise of free-to-play gaming — which really kicked off in 2012 with the release of Clash of Clans and Candy Crush Saga — both the App Store and Google Play offered a reach that their rivals would struggle to provide in the West today. In short, both the App Store and Google Play’s hegemony in the West has been a result of establishing a strong position in the market early, easing distribution for developers and offering them an enormous global market of users to break into. And even today, it’d be hard to dispute that either store wouldn’t be the first port of call for the majority of game developers. In 2017 alone, mobile market research firm Sensor Tower reported that the App Store and Google Play generated over $34 billion in revenue for developers across the world. This shows how dominant both stores are and demonstrates the challenge of breaking their hold on the market. However, there have been a number of subtle shifts within the app economy that have started to fray at the edges of the big two’s stranglehold of the global economy. First, the global app economy is increasingly being countered by the rise of national app stores. The Chinese market is the most prominent example of this, with major stores from Huawei, Tencent and Xiaomi rivalling — or crushing — the App Store and Google Play. But with countries like Iran also sporting local stores in response to political circumstances, the extent to which both Google Play and the App Store can claim to reach into the majority of pockets around the world is questionable. Second, developers are increasingly questioning the extent to which the stores are earning their cut. While 30 percent felt fair in 2008-2011 — when games had a small upfront price tag and distribution was difficult — it increasingly feels out of step with a service driven market. Companies will reasonably argue that such a large amount of money should be directed on day to day running costs like server hire, rather than supporting a company offering a listing service. Third, and finally, developers and publishers are becoming increasingly uncomfortable with the “walled garden” approach of stores. With players looking to engage with their favorite games across platforms and in a context that suits them, developers across the gaming spectrum do not want to be locked into one place by arbitrary divisions. While Fortnite’s APK approach is the most obvious example of this on mobile, other publishers are also taking their own route to market. Bethesda, for example, is taking strong steps in this direction. As well as releasing Fallout 76 on PC outside of Steam, it’s directly challenging Sony to drop its ban on the cross-platform play for its card game The Elder Scrolls Legends. Crucially, the final point is driven by game developers and publishers. While well-funded hardware and software service providers have challenged Apple and Google before, they’ve lacked a flagship title to drive their efforts. However, with Epic driving the agenda forward with one of the biggest games in the industry’s history, both companies must see that it represents a potential threat to their positions. So, what can Apple and Google do about this gentle erosion of their position? In some places, both companies have already begun to make positive changes to combat the shift against them. For example, the introduction of subscription as a monetization method — and the decision to lower the revenue share that the stores take from them – has proven a welcome change. Equally though, that doesn’t feel as if its enough of a shift to deal with the problems outlined above. If enough users do get to grips with sideloading Fortnite in the West, it will encourage other Android stores to aggressively acquire exclusives. And while Apple might see that as a positive, it’d only take a couple of stores to reduce their revenue take to compete in a potentially increasingly competitive sector to draw fire on its own policies. Therefore I think it’s in the interests of both stores to tweak their approaches to reflect the modern app economy. By being proactive and taking steps to reduce their revenue share or to add a door into the walled gardens, both Apple and Google could easily resolve developer concerns. Both the App Store and Google Play have had an overwhelmingly positive impact on the mobile games industry over the past decade. But if they want to keep offering that value in the next decade, it may finally be time for reform.